A kitchen backsplash really makes a space look more complete. But, it can be intimidating or expensive to hang a traditional tile backsplash. While we did hang a tile back splash and would encourage you to try if you are interested, today I wanted to round up several other unique options for you. 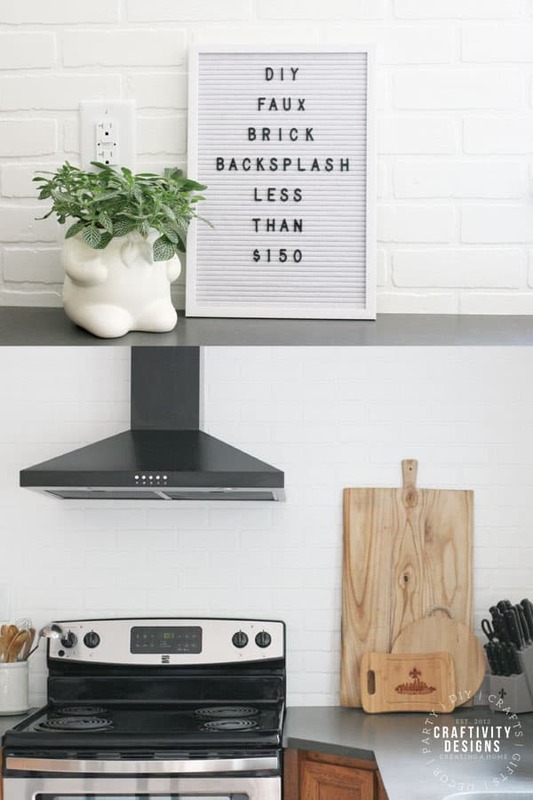 These are 8 budget friendly kitchen backsplash ideas for people on a budget or looking for a project that is easier than grouting tile. 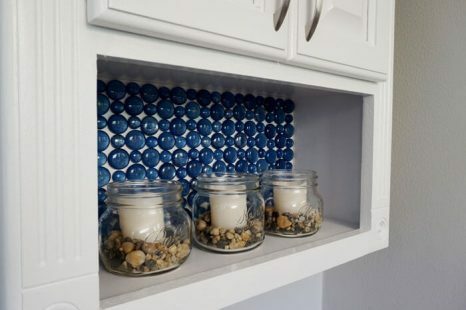 Paint a backsplash – if you are looking for an inexpensive backsplash idea, it doesn’t get any cheaper than paint. We painted a faux backsplash in our condo! However, I would only recommend this project for small kitchens. That is because the intricate taping and waiting for paint to dry makes this project almost painfully slow! However, in the end it looked really good – like real tile from a distance! Peel and stick tile backsplash – Peel and stick tile gives you the look of a real tile backsplash without having to mess with grout or mortar. 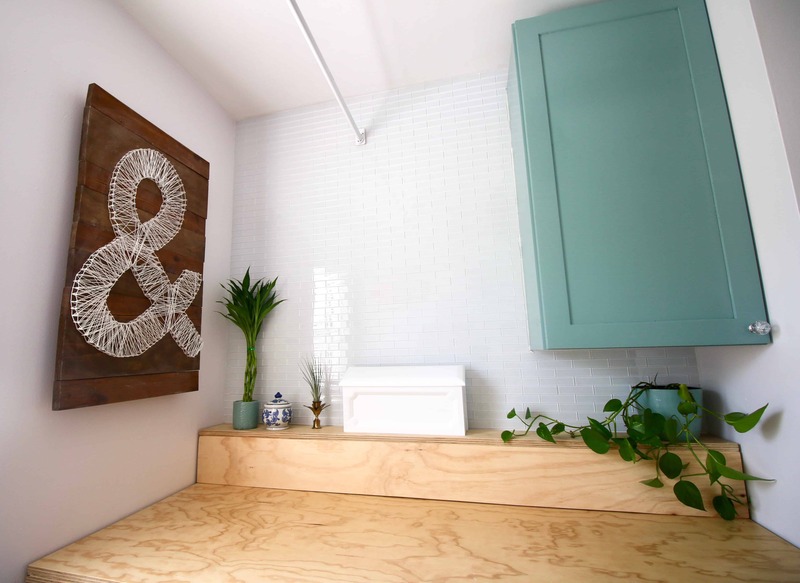 We hung a peel and stick glass subway tile wall in our laundry room. Not only is it easy to hang, you don’t need a tile saw. We just used a pair of tile snips, which are basically scissors, to trim edge tiles to fit the space. The big negative for peel and stick tile is that it is pretty pricey, especially if you need a lot. It’s not a low-budget option. Beadboard backsplash – If you like the look of an all white kitchen, or a rustic farmhouse look, you might want to consider beadboard for your kitchen backsplash. 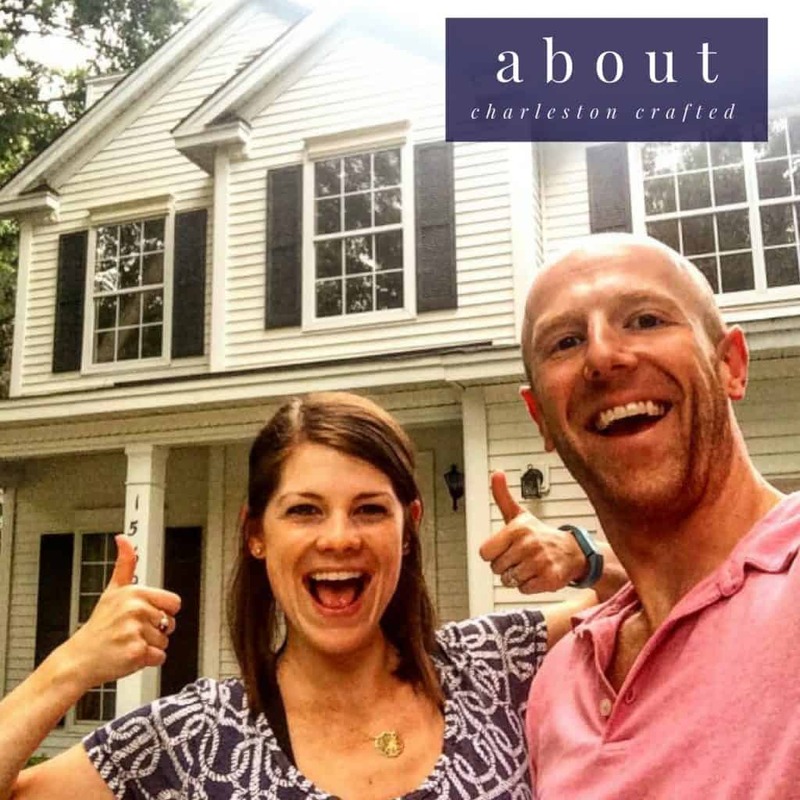 We haven’t done this project personally, though we have hung beadboard over our popcorn ceilings. Here is a kitchen that put in a DIY beadboard backsplash. 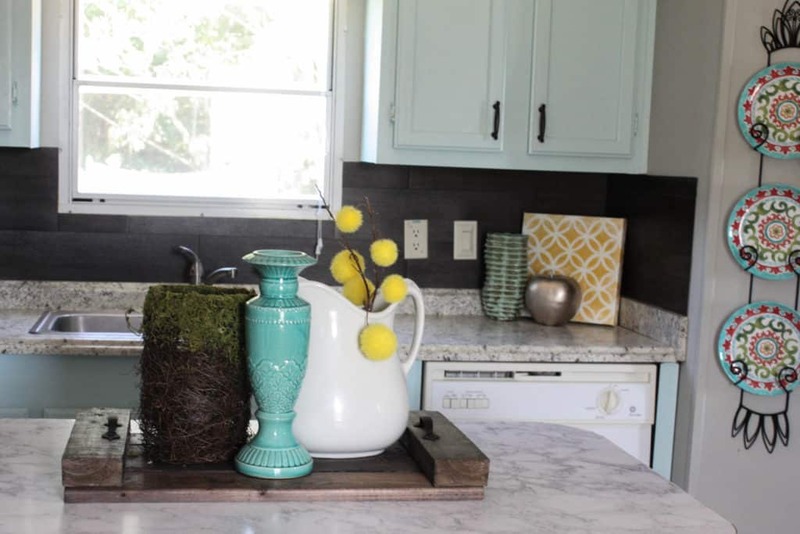 Faux brick backsplash – I first saw a brick backsplash on an episode of Fixer Upper and thought that it looked really nice for a more historical or rustic home. Hardware stores sell panels of faux brick paneling that make this an easy project. 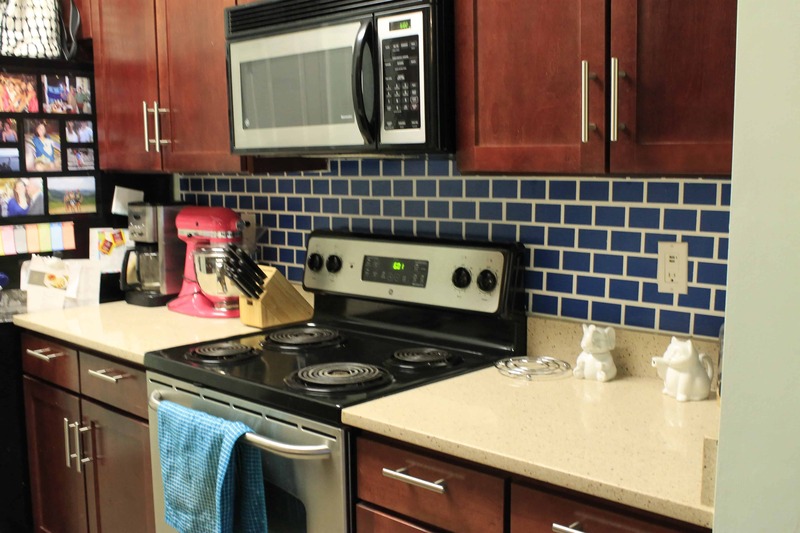 Here is a great tutorial for a white faux brick backsplash! Glass mosaic – If you are looking for a simple glass backsplash, consider using glass beads. This is a really cheap option (she got her beads at the dollar store!) One negative I see is the gaps between the stones. They could easily get dirty and be hard to clean. But, it is beautiful! Vinyl flooring – another alternative backsplash is peel and stick vinyl flooring. This has the benefit of being very inexpensive. It also is very durable and wipeable. Applying the vinyl doesn’t require any special tools, making this a beginner level project. Here is a kitchen featuring a $40 vinyl flooring backsplash. 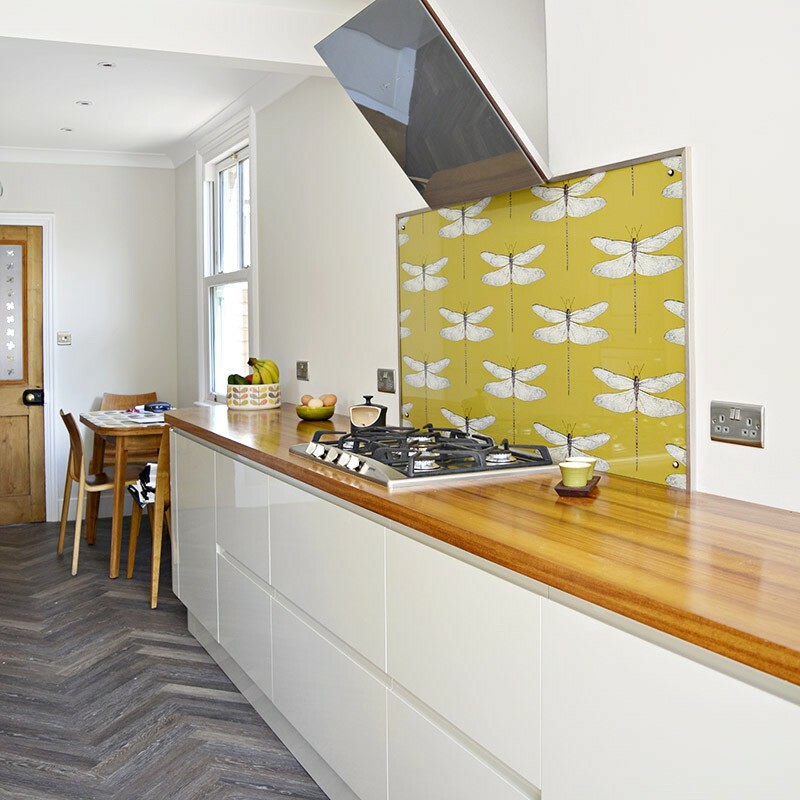 Wallpaper – Wallpaper is another unique backsplash option. Wallpaper has the benefit of being really colorful and a great way to bring patterns into your space. I would be careful to pick a wallpaper that is wipeable, however, or else it might stain easily. Here is an example of a wallpaper backsplash. 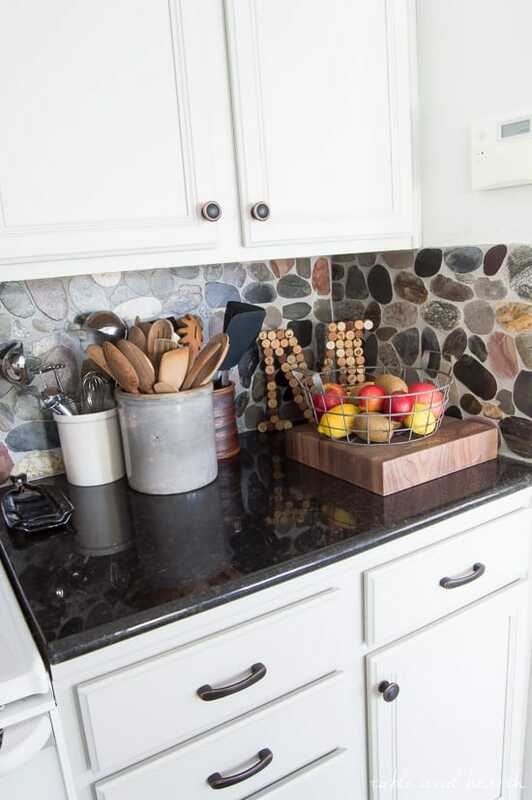 Stone – this backsplash requires mortar like traditional tile, but it has a totally different look. It gives a really cool rustic feel to any space. It would fit in really well in a mountain style home. It looks really solid and durable. It does however have wide grout lines that you’d need to keep clean. 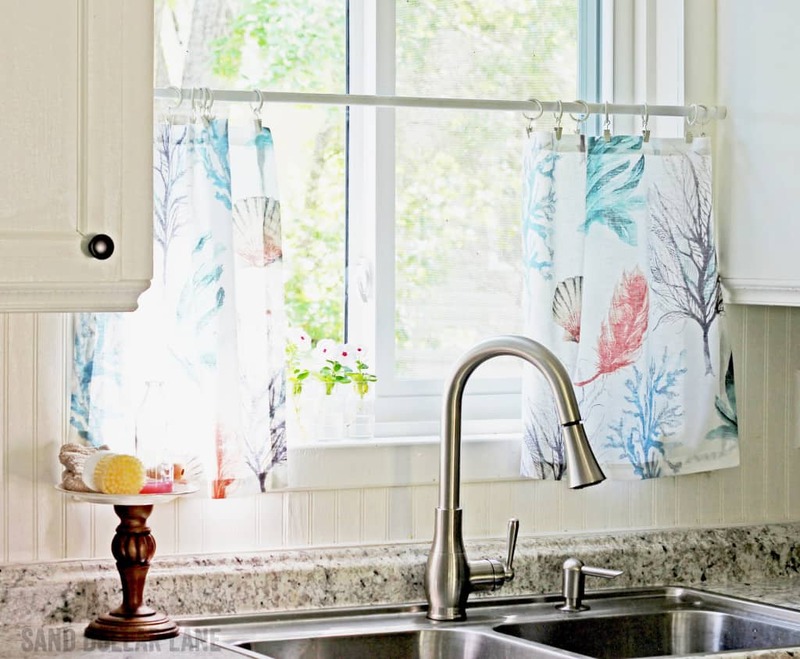 Have you tried an alternative backsplash? What did you think?